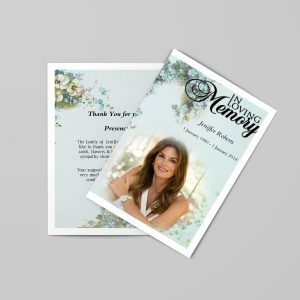 Obituary Templates are just another form of funeral programs, that can be used to create self-printable obituary programs. 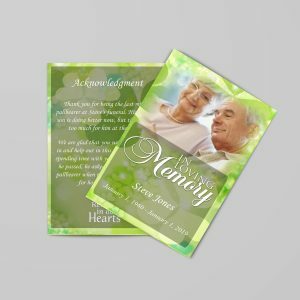 These Obituary Program Templates comes with pre-designed sections with all useful information. You can start creating this online with your own contents such as photos, obituary information, and other information. 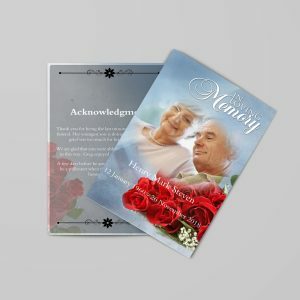 Obituary Programs are best printable format to present the care of person who have passed away. 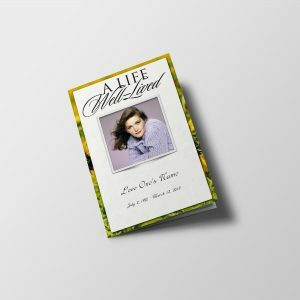 Here an array of printable obituary programs available on our website that can be edited anytime. 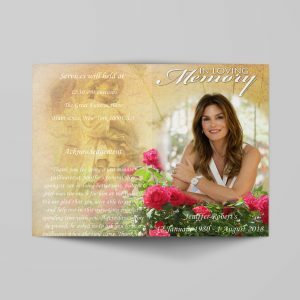 These templates can also be known as Funeral Invitation Templates. Recently we have been getting a lot of calls from people asking if we make printed “obituaries” or have “obituary templates”. Basically “obituary templates” are the same thing as “funeral program templates“. 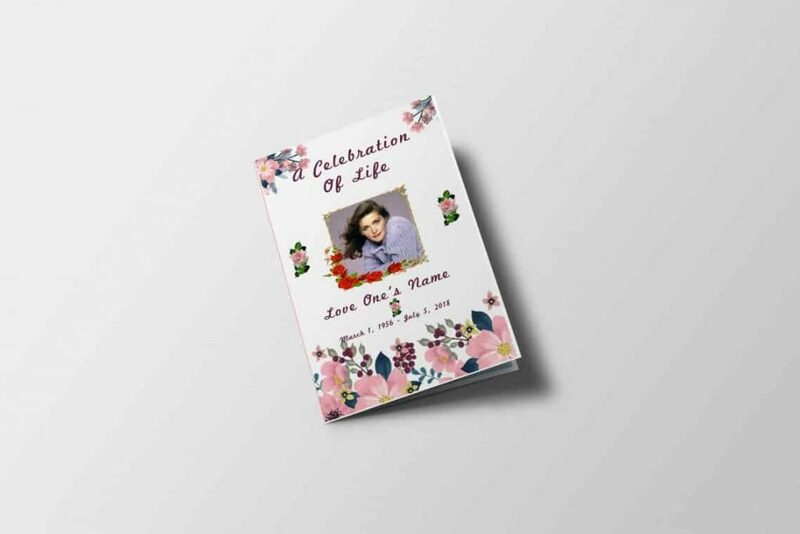 “Obituary templates” are also know across the globe as “funeral programs“, “memorial programs”, “funeral programs templates“, “funeral brochures“, “funeral folders”, “funeral bulletins”, etc. So to help make things more clear for our customers. We also added “obituary templates” to our drop down selector when you begin a new project. We have already seen this help avoid confusion. How to Print Obituary Templates? Select obituary template from obituary programs page. 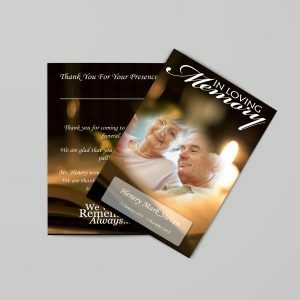 These days, in a funeral service you must have a well edited and printed funeral document using Funeral Program Template or obituary templates. By using these way, you will able to organise the way of “How should a professional funeral service must look like”. We also provide you Trifold Funeral Program, Eulogy Template, Tri Fold Funeral Brochures. you can design your self and print yourself. Why choose to use Obituary Templates? One of the first tasks to be sought when planning a funeral is to write necrology. It does not have a difficult task, thanks to free online obituary template that are available on the QuickFuneral.com. the structured template to concentrate death and relevant details in the right way. Besides providing important details, such as the surviving spouse and children, the written resurrection also passes the time, date and place of funeral or memorial service to the vast majority of the people. An obituary is an announcement about the loss of an individual’s loved one via newspapers or magazine. It is not easy to communicate your emotions orally, hence choosing the manual way is a better idea. While planning for a funeral, writing an obituary has been one of the important tasks to be done. Achieving this task is now no more a difficult one as the availability of free obituary templates and samples has made this work smoother. 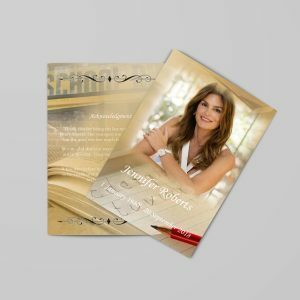 We have ample good reasons for which these obituary templates have proved as the easiest way to communicate your grief. How to Prepare an Obituary? Composing an obituary can help out you in a funeral planning as it contains the complete information about the deceased and also provides the funeral details. You can take the assistance of funeral directors for writing an obituary in obituary template. When you write an obituary using an obituary template, be certain to consist terms like age, the purpose for loss of life, closest loved ones and family members, and essential work or civic contributions. Fill in as much data as you can, at that point contact loved ones for help gathering more data. One can lessen his grief of losing his loved one by accepting the truth by having people acknowledging about the death. A large number of people can get to know about the demise, the essential information can be broadcasted to the loved ones with the aid of obituary templates. What to Write to Obituary Program? Not only have this, writing an obituary saved your time, effort and money also. There are plenty of obituary template samples available at our site. Pick up anyone you like the most and start customizing them. Replace the given text on templates with your own content and enjoy the benefits of our service. We are assuring to assist in every single step in your time of grief!